Bo01 set out with the ambitious target of running the whole precinct of 100% locally produced, renewable energy. This meant investing in 120m2 of solar PV (producing 6000kwh per annum), 2,600m2 of solar thermal collectors (producing 300,000kwh per annum), a 2MW wind turbine (producing 5,500mw per annum), and shallow geothermal – this is in addition to the biogas from food waste I mentioned earlier. In impressively well rounded suite of renewable energy – especially for 2001 when it opened. Key to the success of this energy system was designing it from the start as a precinct system rather than individual systems for individual housing. Surplus energy was used for district heating or cooling. Another key element was the integration of renewable energy with the architecture while simultaneously demonstrating renewable energy solutions to the public. “In order to ensure that the houses were not architecturally impaired by the energy solutions it was vital to cooperate with the architects who designed them.” (130-131). On the other side of the energy equation was reducing the amount of consumed by the new houses. Clever passive design, highly rated building insulation and energy efficiency appliances meant that Western Harbour was able to aim for an energy consumption level of 105kw per m2 almost half the Malmo average of 200 kw m2. More than a decade on studies have shown that the Western Harbour is close to meeting its promise of running 100% locally produced, renewable energy. It has required integration, collaboration and learning and implementing some major changes along the way. But I love the fact that one of the most liveable developments I have ever seen is also one that has almost no carbon footprint. In Australia to the best of my knowledge, 14 years after Bo01 (the first climate neutral development in Scandinavia) was completed there is still no development that has even come close as a zero carbon, 100% renewable energy development. In this time the sustainability technology has come a long way. It is no cheaper and easier to achieve this worthwhile goal than ever. I can’t help but think that Fremantle could show the way on this. 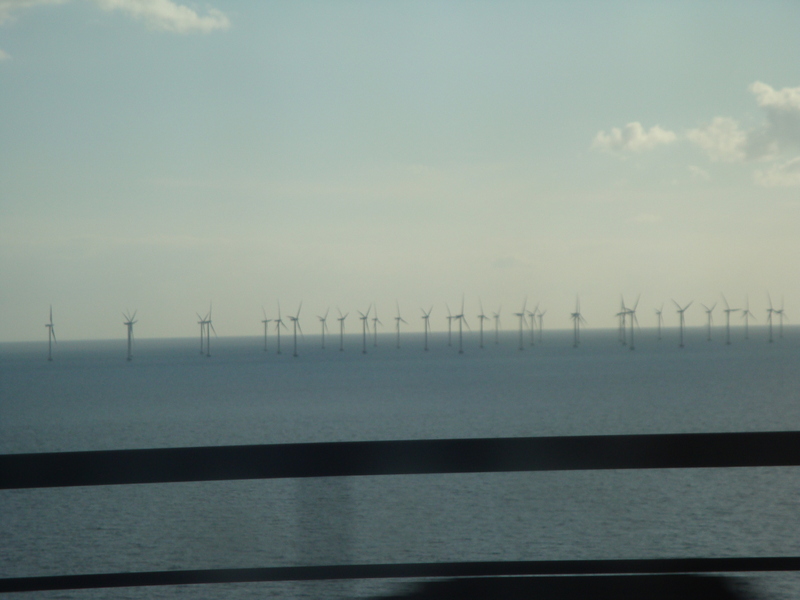 Across the spectacularly long Oresund Bridge from Copenhagen via the dozens of spinning wind turbines in the sea lies the impressive Swedish city of Malmo. Our focus here was on the sustainable redevelopment of the Western Harbour, an old port made into one of the best sustainable urban developments in the world. Visiting this extraordinary area has been a huge highlight because it is the best new urban development I have seen anywhere in the world – so far. It really is a development that does it all – affordable housing, great innovative public spaces, design for climate, low carbon, sustainable waste, amazing architecture. I want to go into a bit of depth over what Malmo has done on this former industrial site as I think there is an opportunity for Fremantle to take some elements form this and do a West Australian version of a carbon-neutral sustainable development on our soon to be redundant depot site on the corner of Montreal and Knutsford Streets. The Western Harbour is a reclaimed 180-odd hectares of port land that was a ship building area and briefly a SAAB factory. When SAAB was bought out by GM and the Malmo plant closed down it resulted Malmo thrown into an economic crisis. It is a mixed-use area with a university, schools, office and a large residential component. 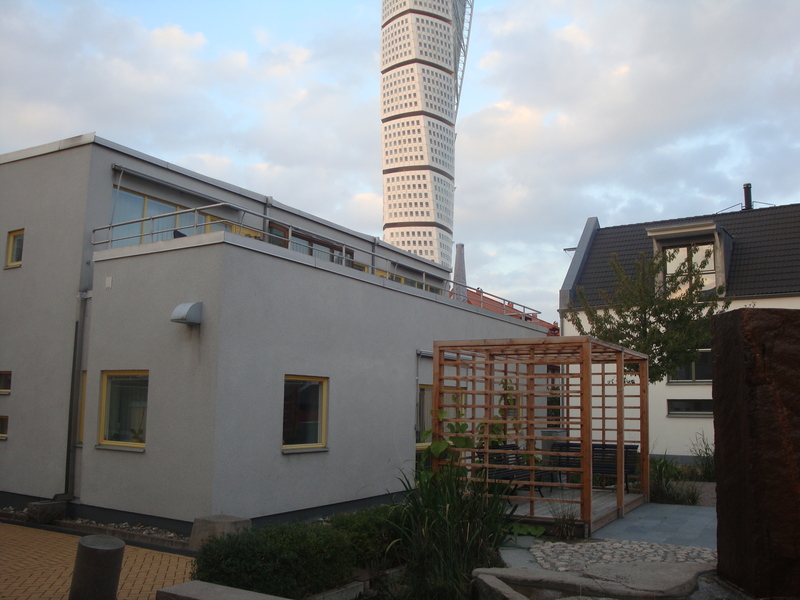 It is mostly medium rise development (2 – 7 floors) although the Western Harbour is defined in part by the landmark Turning Torso which at 190m tall (54 floors) is the sculptural centre of the Western Harbour. Interestingly it was first building in Sweden to have LED lighting which saves 90% compared to traditional lighting. Now ten years on a mainstreamed technology. Putting it simply, it is not a one trick sustainability pony but a fully integrated development that integrates community, liveability, low carbon, sustainable and ultimately a beautiful development together. This really is the future of sustainability – a better, more liveable city that also uses less resources. This was one of the most impressive parts of the development. Bo01 diverts from the standard grid pattern of square city blocks to a more organic but equally permeable built form – permeable unless you are a large vehicle that is. The intricate and enclosed built form means that the internal space is sheltered, a series of cosy outdoor rooms. In fact, it is designed to for Malmo’s climate to protect against the cold artic winds and enable maximum solar access into the heart of the development. Cars can access most parts of the core but only at very low speeds and is really only for those local residents that have internal car bays with their homes to park. The result is a neighbourhood core that is a wonderful pedestrian focused environment that goes from narrow lanes to open courtyards with charming water features and linger nodes. A place where children can and do play on the streets and neighbours gather. While the development is not car focused many people still have a car but they are often parked in the multi-storey carpark a few hundred metres away outside the neighbourhood core. This is largely because they are not needed on a daily basis with walking, cycling, and public transport making up most trips. 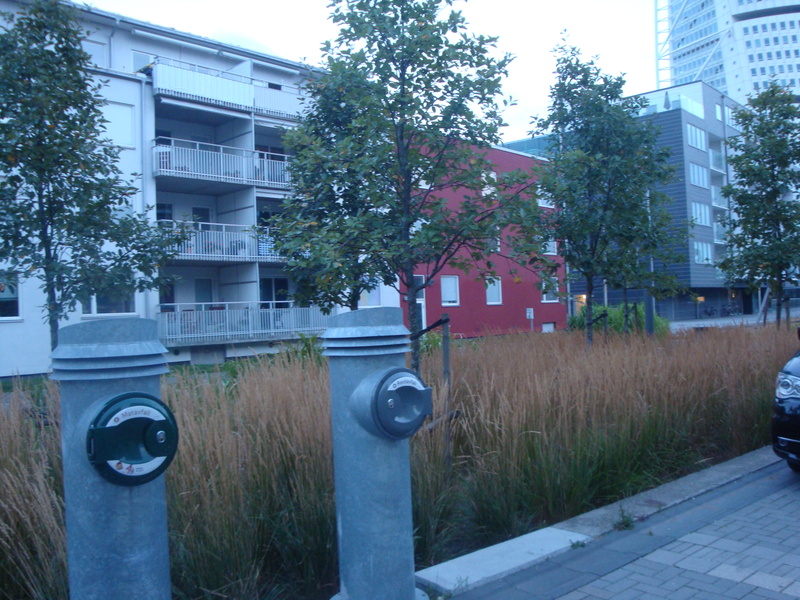 The above design also means that garbage trucks are also unable to enter the neighbourhood centre. Most people don’t realize it, but much of Australia’s suburban and urban form is based around the clearance and turning circles needed for garbage trucks! Bo01’s intimate design meant that these trucks are confined to the outside of the neighbourhood centre. Rubbish and recycling is instead placed in two separate shoots and is sucked underground to the edge of the neighbourhood where is it picked up by the trucks. The vacuum garbage disposal system then takes the separated food waste off for composting and biogas. Extraordinarily the biogas from the Western Harbour now runs the entire Malmo bus fleet! This innovate waste system is no being rolled out across other suburbs in Malmo and in latter stages of the Western Harbour precinct food waste grinders are automatically installed in every kitchen. End of Part One. In Part Two I will look at its diverse architecture, zero carbon, ecological, and affordable housing outcomes. Yes it really does it all! We finished our Copenhagen experience on a real high with a meal with legendary urban planner and place-maker Jan Gehl. Jan Gehl has made it his life’s work to provide convincing evidence for better investment in a quality, people-focused public realm. His wonderful books are worth a read if you care about cities from Public Spaces, Public Life (1996), New City Spaces (2000), New City Life (2006) and, Cities for People (2010) – the latter in which Melbourne, Perth and Fremantle all feature. It was great to be remaindered by him how far Fremantle and Perth had come. He told us the story of when he first came to Perth in 1978 and Perth CBD was a ghost town after 5pm with all the restaurants and street life deliberately confined to the Northbridge area. Extraordinarily only 170-odd people lived in the centre of Perth – primarily building caretakers. Thankfully that was not the last time Jan Gehl was to be in Perth. He was invited back to Perth by Prof Peter Newman in 1993 and soon worked with then Premier Carmen Lawrence to create of plan on how to bring life back to the Perth CBD. While it realization was uneven as State Government and Perth councils changed Jan was extremely proud on what Perth CBD had achieved especially in recent years from a focus on reinstating a two lane road network, to more alfresco seating and better public spaces and to a revived cultural centre precinct. It was good to be reminded of Perth’s recent successes as it is easy to be critical of our often slow and uneven progress towards a more liveable Perth and Freo. Jan Gehl has certainly given us a solid nudge in the right direction. His wonderful books and his home city of Copenhagen now show us the great city making opportunities that lie ahead. Thanks Jan and Kim for sharing Copenhagen with us. PS Finally in an update on my last post Jan said he was just informed this week that Copenhagen now had reached 45% cycling as a way of getting to work and education. Impressive! We kicked off the Copenhagen tour in the best possible way – with a bike tour. 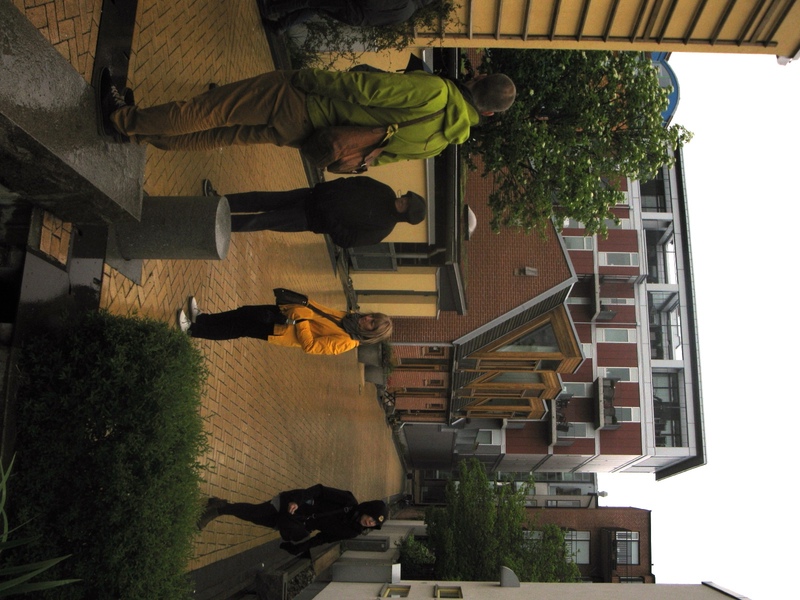 It was led by some local guides including a liveable cities expert from the legendary place making and architectural firm of Jan Gehl. It is hard not to be extremely impressed by Copenhagen. It is a wonderfully liveable and sustainable city. And it is not just the bikes. But given the cycling infrastructure is truly amazing, let’s start with that. Copenhagen is legendary in part because cycling is so ubiquitous. Copenhageners travel approximately 1/3 by bike, 1/3 by public transport and 1/3 by car. The aim is for 50% of journeys to work and school to be by bike. A goal they have almost achieved. Compare this with Perth at less than 3%. This diversity decreases car traffic congestion and the CBD is surprisingly quiet and relaxing as a result. This didn’t happen by accident or genetics. There are many ways in which Copenhagen is specifically designed to encourage the use of bikes, such as permitting bikes on dedicated train carriages for free, the provision of multi-story bike parking infrastructure, and providing free bike pumps stations on Copenhagen streets. But it success is fundamentally that Copenhagen provides continuous separated bike lanes that make cycling safe and convenient. A highlight today was to ride the recently completed 200m “bike snake” bridge. Completed by the council in 2014 it cost around $6million and is already used by over 8000 cyclists a day. There is much more I could praise Copenhagen for but (given the article in Sunday Times today and Freoview’s post. I’ll finish with some examples of Copenhagen’s impressive recent architecture. Not only have they got predominantly human scale outcomes throughout the city (around 5-8 floors) but they are universally of a design quality that leaves Perth’s buildings to wallow in their own mediocrity. Why we asked? National mandating of the use of architects (and often multiple ones in an area) in combination with a well-developed Danish sense of aesthetic and design we were told was part of the reason. WA could sure do with a local version of both of these as these impressive examples show. This will be my last post with a focus on local issues for a while as I am about to kick off a tour of sustainable and liveable cities with 30 other WA planners from local, state government and the private sector. It is a good chance to step back from the many local issues that inevitably dominate the day to day life of a as mayor –to reflect on the big issues that are making and breaking cities around the world and what this should mean for planning better futures for Perth and Fremantle. But while I am in the airport waiting for my flight to the tours starting point in Copenhagen I wanted to reflect on the challenges Perth is facing and why a new approach is going to be essential to Perth’s future if it is to remain a liveable city. This is inspired by the recent release of the Dept of Planning’s Perth and Peel @ 3.5 million planning strategy. They state that this new plan aims to: “… guide infill development to deliver a more compact and connected city and promote the connectivity and development of activity centres, corridors, industrial nodes and station precincts to drive employment opportunities outside the Central Business District with the key objective to provide employment options where people live, thereby reducing the need for people to commute long distances for work.” (Pg 8). It is excellent these challenges are been recognised within State Government planning. It would seem to me that this is largely consistent with what the City of Fremantle has been advocating and putting into our planning documents and key actions over the past few years. At the heart of this strategy is better ways of tackling sprawl and achieving urban density. Consistent with Directions 2031 the strategy aims for 47% urban consolidation – meaning 800,000 new homes will required within existing urban areas. Fremantle has been given the quite doable target of providing an extra 7100 people and I am confident that we can exceed this through the East End, CBD, Knutsford/Swanbourne Street and transit corridor redevelopments such as South Street. Perth is currently tracking at around only 28% infill meaning, of course, that 72% of our urban growth (and the 1000 plus people arriving in WA each week) is currently fuelling urban sprawl that is seeing Perth spread unsustainably north and south – bulldozing our biodiversity in the process. This sprawl is arguably keeping the price of house purchasing down but is creating major liveability and sustainability challenge. There is of course a difference between affordable housing (to buy) and affordable living (running the house and transport costs). While overall this is a pretty good plan with a reasonably ambitious but doable goals around density and a good understanding that Perth needs to grow differently over the next few decades if it is to stay a liveable city – it’s huge failing is that it provides no mechanisms for change. While painting a pretty picture for a future Perth – it provides no clear paths on how to get there. It contains no new mechanisms to move Perth beyond the 28% infill the report says we are currently achieving other than the hope that Perthites might development a taste for apartments in coming years. Investment in public transport going to those areas willing to support higher density transit orientated developments (TODs). An urban growth boundary to stop future sprawl. This document will be an important road map for the future of Perth so it is important we get it right. I’ll be taking key lessons from the most sustainable and liveable cities in Europe to see what they can add to the Perth debate. State Government on the wrong side of history on plastic bag ban. “Claims about waste reduction and environmental protection are minimal. When a ban was introduced in South Australia, sales of bin liners – that use more plastic – increased by 85 per cent”. On #1 I agree but the State Government has had years to introduce legislation to do this as South Australia, Northern Territory, ACT and Tasmania have all done in recent years. But they have failed to do so. So that response by Peter is at best disingenuous. On #2 that is a silly red herring that doesn’t live up to scrutiny. Australians use around 3.92 billion plastic bags a year, that’s over 10 million new bags being used every day. Clean-up Australia estimate that around 50 million bags enter the Australian litter stream every year. The number of bin liners is a small fraction of these. It is also better that bin liners for food scraps and other non-recyclables are bio-degradable so they can be composted. Bin liners also don’t end up in our rivers and ocean. All the evidence is against the upper-house liberals on this. The vast majority of Fremantle residents, business and the Fremantle Chamber of Commerce have supported this local law. It is time for the State Government to make it a state law or just get out of the way of progressive change. The City of Fremantle is disappointed its innovative local law designed to reduce plastic waste in Fremantle may be in jeopardy after a notice of motion to disallow the law was tabled yesterday by Liberal MLC Hon Peter Katsambanis. The City of Fremantle Plastic Bag Local Law prohibits retailers providing customers with single–use non–biodegradable plastic bags and was amended and resubmitted after a similar law was blocked in 2013. “We are really disappointed and struggle to understand why the state government would look at blocking a local government that is trying to pioneer a sensible approach to waste reduction and environmental protection,” said acting Fremantle Mayor, Josh Wilson. “We’ve followed good process, including consultation with both the wider and business community, and have adjusted the local law in response to issues involved in the first version. By contrast, the WA government looks like it’s going to ignore the recommendation of its own parliamentary committee in order to block the initiative. “There are several other local government authorities, both in Western Australia and in other parts of the country, who are eagerly awaiting the outcome before they moved to implement similar laws so there will be a lot of interest in this decision. “We will be calling on these like-minded councils and other community groups and supporters to lobby the state government to make a sensible decision on a matter which has far reaching and serious implications,” Mr Wilson said. If approved by the state government, the City of Fremantle would become the first local government in Western Australia to implement the law, which is already in place in other parts of the country. I am seriously concerned that the proposed freight link could make it very difficult for everyone to get into the centre of Freo from the North or the East as trucks into the port will have priority (given they will be paying! ).